It is a great pleasure for me and the entire delegation to be here in Fiji – to see your beautiful country, to listen and learn about your society and history. Thank you for the warm hospitality you have shown us. Our programme here in the South Pacific is wide-ranging. We have already visited Tonga, met with His Majesty The King and official representatives, and we have had some very interesting field visits. On Sunday, I had the opportunity to enjoy the beautiful scenery, dive at Cakaulevu reef and even do some surfing. It is easy to see why people all over the world, including Norwegians, associate the South Pacific countries with paradise. Fiji and Norway are far apart in geographical terms. We come from the cold north of Europe. Here in the South Pacific we have been given a very warm welcome – and we feel that we are among friends with shared interests. Our countries may be small in terms of land mass, but we are both large ocean states. The oceans are essential to our livelihoods and history. The oceans connect us. Our peoples share a deep concern for the future of the planet, its oceans and its climate. We know that the countries of the South Pacific are vulnerable to the effects of climate change. We are experiencing effects in Norway, too. Our winters are shorter than before, our glaciers are shrinking, and icecaps in the Norwegian Arctic islands of Svalbard are receding. Melting ice in the polar regions means rising sea levels all over the globe. The future of the planet depends on the health of the oceans and climate, and on our ability to work together. Fiji’s leadership has been crucial for ensuring progress in the implementation of the Paris Agreement. We have been proud to work with Fiji to promote climate action – and now we are proud to be cooperating with you on ensuring the sustainable management of our oceans. Our two countries have worked together for almost fifty years in the United Nations. Our collaboration has included taking part in the Law of the Sea negotiations and in peacekeeping operations in Lebanon. Both Norway and Fiji have provided Force Commanders to UNIFIL – in Fiji’s case, President Konrote. We believe that peace and security, climate action and sustainable development are all interlinked. 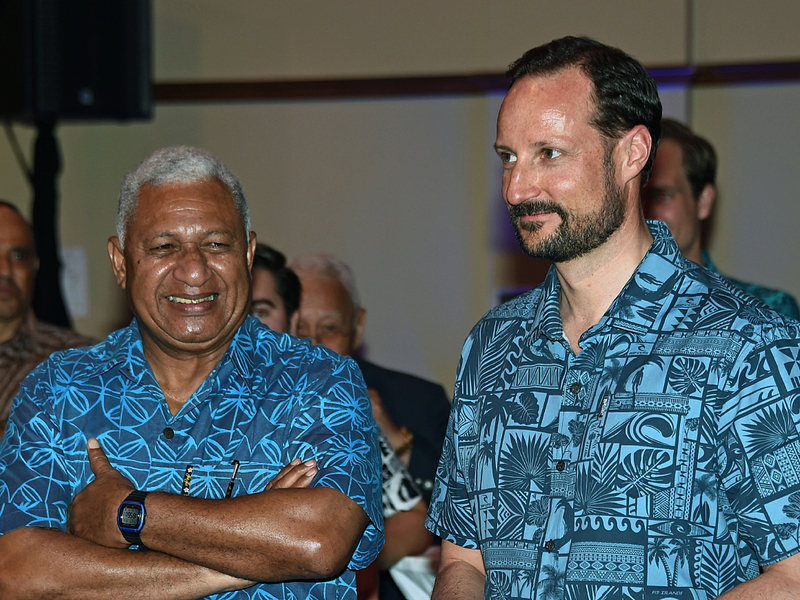 Under the leadership of the Prime Minister of Fiji, the Pacific has raised its voice on the global stage — speaking out about critical issues such as climate change and the oceans. Fiji’s leadership at COP23 and the UN Ocean Conference was crucial, and enabled the Pacific to influence vital processes and agreements. The voice of the Pacific is important, and Fiji has made it heard. We look forward to working with you in the UN, multilaterally and regionally, to forward our mutual interests in these crucial areas. We want to learn from Fiji’s experiences – and we hope to bring the knowledge we gain from you to the table of the Security Council in the period 2021-2022. Tomorrow, I am looking forward to trying your national sport – rugby. And I would like to say congratulations on your big win yesterday evening. I have to admit, that when it comes to Rugby, we Norwegians have a lot to learn. Norway has never had an Olympic rugby team, while Fiji is the Olympic champion. And we wish you the best of luck in the Rugby World Cup in Japan this year! Given your climate, it is impressive that Fiji has also participated in three winter Olympics. Your cross-country skier Rogoyawa finished the 10 km race in the 1994 winter Olympics in Norway in 38 minutes. That is faster than almost all Norwegians – even though we are said to be born with skis on our feet! Tonight, we are happy to be able to relax and enjoy excellent food and drink – including kava – for which Fiji is famous. So, in closing, I would like to propose a toast to continued collaboration and excellent relations between Fiji and Norway! 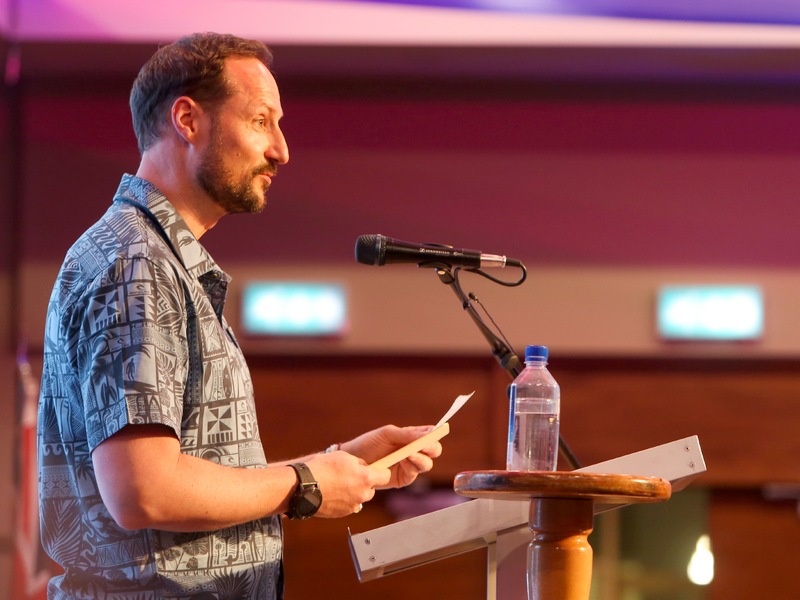 The speech given by Crown Prince Haakon at the reception hosted in Suva.